For the music festival, see Austin City Limits Music Festival. Austin City Limits (ACL) is an American public television music program recorded live in Austin, Texas, by Public Broadcasting Service (PBS) member television station KLRU, and broadcast on many PBS stations around the United States. The show helped Austin to become widely known as the "Live Music Capital of the World", and is the only television show to receive the National Medal of Arts, which it was awarded in 2003. It also won a rare institutional Peabody Award in 2011 "for its more than three decades of presenting and preserving eclectic American musical genres." For the first 12 seasons (1976-1987), Austin City Limits was produced by the Southwest Texas Public Broadcasting Council. 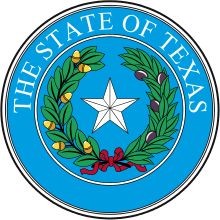 Beginning in Season 13 (1988), Austin City Limits moved to its current home at the Capital of Texas Public Telecommunications Council. Austin City Limits is the longest-running music program in television history. The pilot was shot on October 14, 1974, and starred Willie Nelson. (B.W. Stevenson was actually taped the night before, but the recording was deemed unusable.) The deliberate lack of production slickness and attention to audio detail pleased even the notoriously TV-shy Nelson, and ACL creator Bill Arhos pitched the pilot to PBS as part of its 1975 pledge drive. The show’s success as a fundraiser was enough for Arhos to get ACL green-lighted as a series. The show inspired the creation of the Austin City Limits Music Festival, an annual live music festival at Zilker Park in Austin. Some of the performances from Austin City Limits have been released as CDs and DVDs in the Live from Austin, TX series. Full episodes can also be viewed online at the show's official website. There is an Austin City Limits store at the Austin Bergstrom International Airport. On June 21, 2012, the Rock and Roll Hall of Fame and Museum in Cleveland, Ohio, announced that nearly forty years of Austin City Limits footage will be digitally archived "in perpetuity" at the Museum's new Library and Archives; recordings from more than 800 live performances will be made available to the public. MTV Live (formerly Palladia HD) acquired rerun rights to the series in 2016. The executive producer of Austin City Limits is Terry Lickona, who joined the program in 1979 during Season 4. The first director of Austin City Limits was Bruce Scafe, who was the director for the show's first two seasons in 1976 and 1977; Charles Vaughn took over as producer-director in Season 3 (1978); Clark Santee took over as director in Season 4 (1979); Allan Muir took over as director in Season 5 (1980), and he continued until Season 7 (1982); Gary Menotti replaced Allan Muir as the show's current director starting in Season 8 (1983). For the first 36 seasons, Austin City Limits was recorded in Studio 6A in the Communications Building B on the University of Texas at Austin campus, on a stage featuring a mock skyline of Austin in the background, which was introduced in Season 7 (1982). The studio had a seating capacity of approximately 800, but due to limited access to fire exits the audience size was limited to 300. In 2010, the show and its original studio were inducted into the Rock and Roll Hall of Fame. A plaque near the entrance to Communications Building B commemorating the occasion proclaims Austin City Limits as the "longest running music show in the history of American television." On February 26, 2011, Austin City Limits held its first taping in its new purpose-built Austin City Limits Live at The Moody Theater (ACL Live) and studio in downtown Austin's Block 21. The additional seating capacity is used for an estimated 100 concerts and 100 private events per year at the venue. On December 2, 2014, in celebration of Austin City Limits' 40th season, a DVD titled Austin City Limits Celebrates 40 Years will be released. Austin City Limits is the longest-running music series in American television history. In Season 1 of Austin City Limits in 1976, each episode begins with the soundcheck that is run by producer Paul Bosner. He then used it as the audio to accompany each episode's 2 minute opening title sequence. Beginning with Season 2 in 1977, the soundcheck was replaced by Gary P. Nunn's "London Homesick Blues", which was introduced as the show's theme song. The song was written by Gary P. Nunn, and performed by The Lost Gonzo Band. So director Bruce Scafe used the song from the last episode of Season 1 in 1976 entitled "The Lost Gonzo Band followed by Jerry Jeff Walker". He then used it as the audio to accompany those landscape and nightclub shots. "London Homesick Blues" will remain in use as the show's theme song until Season 29. From Season 7 in 1982 to Season 8 in 1983, the opening theme music was composed by Austin musician John Mills. From Season 25 to Season 29, the opening theme music was arranged by Austin musician Tequila Mockingbird. From Season 30 (2004-2005) to Season 32 (2006-2007), the opening theme music was composed by Austin musician Charlie Sexton. From Season 37 to Season 39, opening theme music was "An Introduction", written and performed by Explosions in the Sky. The opening sequence was created by Jonathan Jackson. For Season 40, "Travis County Line" by Gary Clark Jr. became the theme. In Season 41, a new theme music was introduced. ↑ "Austin, TX Official City Website". Retrieved 19 June 2014. ↑ "History of ACL | Austin City Limits". Acltv.com. 1974-10-14. Retrieved 2015-06-19. ↑ "POTD: Austin City Limits Store : TexasTripper.com Texas Travel Guide". 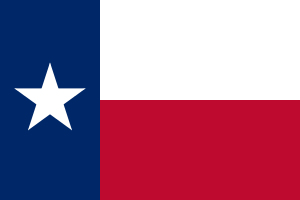 Texastripper.com. 2008-01-18. Retrieved 2012-12-17. ↑ Hall, Rock. "Austin City Limits Performance Collection Comes to Library and Archives | The Rock and Roll Hall of Fame and Museum". Rockhall.com. Retrieved 2012-12-17. ↑ "Rock and Roll Hall of Fame gets treasure trove from 'Austin City Limits' - USATODAY.com Photos". Mediagallery.usatoday.com. Retrieved 2012-12-17. ↑ "'Austin City Limits' archives find a permanent home: the Rock and Roll Hall of Fame | Pop Culture Blog". Popcultureblog.dallasnews.com. 2012-06-21. Retrieved 2012-12-17. ↑ Maloney, Devon (2012-06-22). "'Austin City Limits' Archives Relocate to Rock Hall Museum | SPIN | Newswire". SPIN. Retrieved 2012-12-17. ↑ "Palladia will rebrand as MTV Live 2/1/16". Comcast Cable official forum posting. 20 January 2016. Retrieved 24 January 2016. ↑ Curtin, Kevin (2014-10-03). "The Poughkeepsie Kid: A night in the life of Austin City Limits ringleader Terry Lickona - Music". The Austin Chronicle. Retrieved 2015-06-19. ↑ "Terry Lickona Takes ACL Beyond the Austin City Limit | School of Journalism". Journalism.utexas.edu. 2007-04-25. Retrieved 2015-06-19. ↑ Archived October 15, 2014, at the Wayback Machine. ↑ "Terry Lickona". Roadtrip Nation. Retrieved 2015-06-19. ↑ "Terry Lickona". Black Fret. Retrieved 2015-06-19. ↑ "Songwriters to Soundmen - Terry Lickona and Scott Newton - April 2010 | The Rock and Roll Hall of Fame and Museum". Rockhall.com. Retrieved 2015-06-19. ↑ Cohen, Jason (2014-09-28). "Austin City Limits, Now 40, Feels Younger Than Ever". Texas Monthly. Retrieved 2015-06-19. ↑ Zipp, Fred. "Terry Lickona Reflects on 40 Years of 'Austin City Limits'". Austinway.com. Retrieved 2015-06-19. ↑ "Austin City Limits Celebrates 40 Years: Willie Nelson, Bonnie Raitt, Lyle Lovett, Foo Fighters, Jimmie Vaughan, Alabama Shakes and more., Bill Arhos: Movies & TV". Amazon.com. Retrieved 2015-06-19. ↑ "40-year-old TV show 'Austin City Limits' helps make Austin hip | Dallas Morning News". Dallasnews.com. 2014-10-10. Retrieved 2015-06-19. Wikimedia Commons has media related to Austin City Limits.